The investigators, staff, and assistants actively affiliated with BEH project are listed below in alphabetical order. Mike is Assistant Professor of Sociology at American University where he is also affiliated with the Center on Health, Risk and Society. Mike’s research focuses on the forces that create racial and economic segregation in American cities and the consequences of that segregation on health inequality. In addition to this substantive research, he also examines methods of collecting and analyzing spatial data. He received his Ph.D. in sociology from the University of Michigan in 2009, writing his dissertation on the spatial and temporal change of neighborhoods in Chicago, after which he was a Robert Wood Johnson Foundation Health & Society Scholar at the University of Pennsylvania. Darby Jack is an Assistant Professor at the Mailman School of Public Health, in the Department of Environmental Health Sciences. His research centers on empirical analysis of human-environment interactions in developing countries. Current projects focus on vulnerability to climate change, economic approaches to valuing ecosystem services, and the political economy of forest conservation. 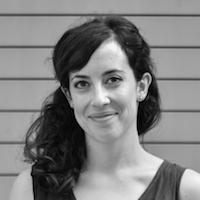 Eliza W. Kinsey is a Postdoctoral Research Scientist in the Department of Epidemiology at Columbia University’s Mailman School of Public Health. Dr. Kinsey’s research examines the relationships between the built environment, food insecurity and urban health disparities. She uses a mixed-methods approach to explore spatiotemporal dynamics of food policy and health across the urban planning, public health and social welfare disciplines. Her dissertation research on the federal food stamp program (SNAP) demonstrated the declining diet quality of food stamp recipients later in the month and the detrimental impacts of this monthly benefit cycle on chronic disease self-management within low-income populations. Her other research interests include city food access management during emergencies and the role of public libraries as community health resources. Dr. Kinsey earned her PhD in City and Regional Planning, as well as a Master of Public Health, from the University of Pennsylvania. She also received an MA in Urban Planning and an MS in Nutrition Policy from Tufts University. Prior to her doctoral studies, Dr. Kinsey worked on city food policy issues at the Baltimore Food Policy Initiative and for the U.S. Conference of Mayors. Gina S. Lovasi the Dornsife Associate Professor of Urban Health, Co-Director of the Urban Health Collaborative at the Drexel University Dornsife School of Public Health. Her research examines how local policies and initiatives influence cardiovascular and respiratory health, seeking to understand whether the anticipated health benefits have been realized and to explore any unanticipated health effects. Key aspects of the local environment measured in her research have included walkable urban form, sources of healthy and unhealthy foods, tree canopy coverage and other aesthetic amenities, and pedestrian safety hazards related to crime and traffic. Health outcomes recently studies include cognitive development, asthma, allergic sensitization, physical activity, obesity, myocardial infarction, and sudden cardiac arrest. She has taught a doctoral course on advanced techniques for epidemiologic research for the last 5 years (advancedepidemiology.org), and serves on the editorial board for both the Journal of Urban Health and the American Journal of Preventive Medicine. Steve is a Senior Fellow and Lecturer in the Department of Epidemiology at the University of Washington School of Public Health and the Harborview Injury Prevention & Research Center. He is interested, broadly, in how cities affect health, and how we can know whether they do. Which means, more narrowly, his substantive research focuses on built environment influences on pedestrian injury and physical activity, augmented with a stable of side projects digging into epidemiologic methodology. He applies skills acquired in an former career programming computers to public health research. Kathryn Neckerman is a Senior Research Scholar at the Columbia University Population Research Center. Neckerman is a sociologist who has conducted research on the role of race and ethnicity in urban labor markets, family structure, and education. She is the author of Schools Betrayed: Roots of Failure in Inner-City Education (Chicago, 2007) and the editor of Social Inequality (Russell Sage, 2004) and (with Peter Bearman and Leslie Wright) After Tobacco (Columbia, 2011). She has written extensively about disparities in neighborhood conditions and their implications for health and wellbeing. Specific foci of current research include the determinants of active travel, the association of neighborhood features and child fitness, and the long-term implications of neighborhood walkability for chronic disease and medical care costs. Yoosun Park, Ph.D., is an associate professor of Social Work at Smith College. Dr. Park studies the history of U.S. immigration and immigration/refugee policies, international migration and forced migration studies, and social work practice with immigrant and refugee populations. She heads up BEH’s efforts to understand how interactions between immigrant’s acculturation status and neighborhood social and food environments influence diet and body size. James Quinn is a Geographer and Senior Geographic Information Systems (GIS) Analyst based at the Institute for Social and Economic Research and Policy at Columbia University. He received both his B.A. and M.A. in Geography from the University of Northern Iowa. Quinn conducts medical geography research and works on numerous grant-funded research projects where he is responsible for the acquisition, management, development, and linkage of retrospective and modern spatial databases measuring neighborhood characteristics with individual-level data. Using non-routine spatial modeling techniques, Quinn, makes connections between the changes in the physical, economic, and social environments, and evaluates their affect on the development of changes in physical activity, patterns of obesity, and health risk. Quinn also supports other researchers with health-related projects involving a spatial perspective, and collaborates with other colleagues to enhance and promote the use of spatial analysis in teaching and research at Columbia. Andrew Rundle, Dr.P.H., is associate professor of Epidemiology at the Mailman School of Public Health. His research focuses on physical activity and obesity. He is studying the mechanisms through which sedentary lifestyles and obesity cause cancer, as well as the influence of societal factors such as the built environment, neighborhood socio-economic status, and immigration and acculturation on sedentary behavior and overweight/obesity. He is also the PI of the Columbia Center for Children’s Environmental Health’s childhood obesity project.